Sorry, this is for Android only. There was no way to keep my phone's screen on continuously, which I wanted in certain circumstances and almost always when it was being charged, like listening to SiriusXM or Pandora while traveling. 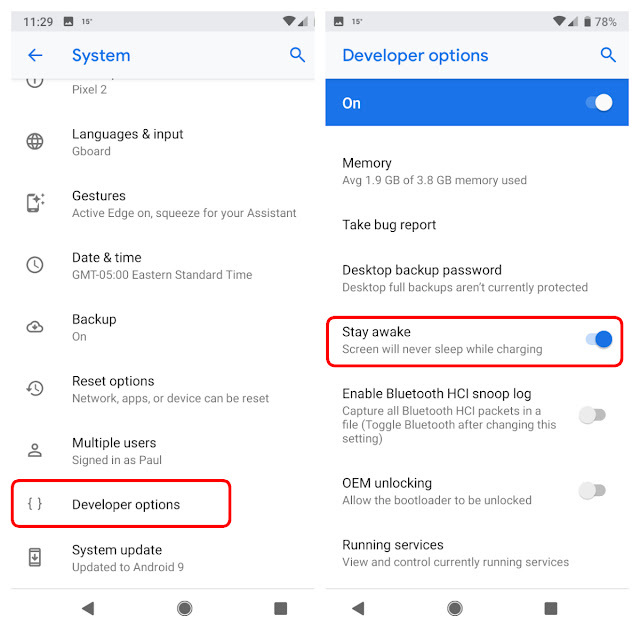 A little digging found how to do what I wanted, which involved turning on "Developer options", then the "Stay awake" option as shown below. The first link has the instructions to enable developer options, which involves locating and tapping the Build number seven times, and the second link shows how to, among other things, keep your phone's screen on while charging.